The location of the Nordic region results in striking seasonal variations — long days that stretch into light evenings in the summer, and almost never-ending darkness and extreme cold during the autumn and winter months. The scant daylight is the main reason Scandinavians constantly seek light and brightness. Something has changed, however. The Nordic palette is slowly moving away from cool whites and pale greys, and stronger, bolder hues are making an appearance. The common denominator is that white walls have been replaced with bold colourful shades, but it is possible to determine three new approaches. Trends are cyclical, and what’s in vogue today will look decidedly passé five or 10 years down the line. The fashion industry is the first to react to new ideas, but the interior decoration and design industry is never far behind. New technology and social media have made the tempo faster, which in turn makes cycles shorter. Trends often represent a reaction to what has gone before, but they are also affected by politics, societal movements and changing demographics. When it comes to colour, the theory is that trends repeat in cycles of 10-15 years. When our surroundings are white and neutral, we grow bored after a while and start to move towards the other end of the spectrum, and that pattern is evident in interior design over the centuries. In the past 15 years, neutral colours such as white and grey have dominated Scandinavian homes. But now the palette is changing. Interior design is gravitating towards clearer, stronger colours — orange, pink, red and even brown. Nordic homes are early adopters. 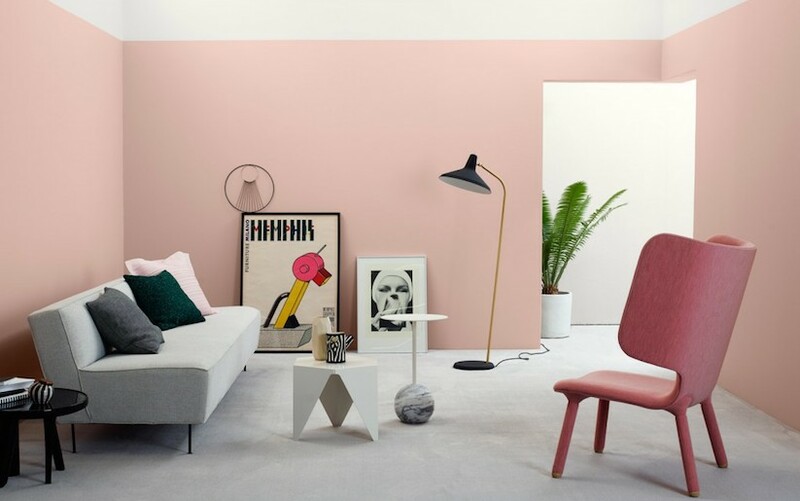 Swedes, Danes, Norwegians and Finns are able to carry out extensive home redecoration, since they have not only the desire, but also the means to do so. As colour trends develop, Scandinavians have been swift to embrace them. In my new book, I dive deep into the phenomenon of “New Nordic Colour” and learn how to embrace modern the Scandinavian way. Perhaps as a reaction to spacious, pared-down, white, bright interiors, Dark Eclectic is typified by a use of deep, intense hues inspired by the dramatic tones of the Nordic landscape: dusk blue, storm grey and forest green. Leafy plants and natural materials — wood, leather, straw — are combined with eclectic details to create a well-balanced interior that is shown to best advantage against a dark background. Pale walls may remain in some homes, yet they are enlivened by vivid, striking accents in the shape of decorative detailing, colourful kitchen cabinets and bold furniture. Think of deep red lingonberries, blooming poppy fields or the vivid yellow leaves of the northern birch forests in early autumn. This approach embraces unusual details that stand out and add character. In Scandinavian homes, a pastel palette can intensify cold northern light in a beautiful way. This look is not so much about delicate, sugared-almond hues, instead focusing on strong, sophisticated pastel shades with a fresh, bold feel. Even though it may not seem like it, white is a colour and comes in a variety of shades. Yellow undertones create a warmer, creamier feel, while those with blue undertones are crisper and colder. Among Swedes, the search for the perfect white paint has resulted in “Stockholm White”, which has subtle yellow and grey undertones, and has become synonymous with standard white. White and pale greys go nicely with both hot and cold hues, and make an ideal backdrop if you want to let your possessions play a starring role. Mid-greys create a soft, moody feel and are versatile. The Nordic landscape harmonises with grey most of the year, so it is possible to find inspiration outdoors — think of freshly fallen snow, cloud cover or frozen lakes. As the trend cycle slowly moves from white to grey to colour, blue and green shades are often the first step on the way. Recently, darker and greener greys have increased in popularity, and a dark petrol-blue shade, reminiscent of inland lakes, has also appeared. Green and blue are colours that remind us of the landscape — sky, sea, grassy fields, woods — and they are also excellent accents. The blue palette is incredibly comprehensive, ranging from violet with red undertones to green shades via turquoise. In Scandinavia, there is a new interest in deep, subdued tones such as air-force blue and navy. Green is produced by mixing blue and yellow, and its character changes depending on how much of each is used in the mixing process. It evokes a sense of calm and serenity, and is therefore a popular choice for bedrooms. In Scandinavia, greens are mainly represented by grey-green tones, with lots of white or black in them. Think of sage, moss green or khaki, forest green and seaweed. As we move around the colour wheel, we eventually come to hot hues such as red and yellow. Scandinavians tend to be attracted to blackened or muted versions of these shades and, as with blue and green, dirtier shades have proved popular in the transition from white to colour. Powdery pink, for example, is seen a lot, often with putty undertones that prevent it from being too sugary sweet. Bold, deep red tones are also popular, but they are not vibrant, instead flirting with natural reds such as rust, lingonberry and terracotta. In the middle of the red-yellow tonality, we find orange hues. These warm colours bring mustard, clay and earth to mind — shades that are not traditionally associated with Scandinavia, but which have become more popular in recent years. Bright red is dramatic and intense, and therefore suitable for social spaces such as living rooms or dining rooms. 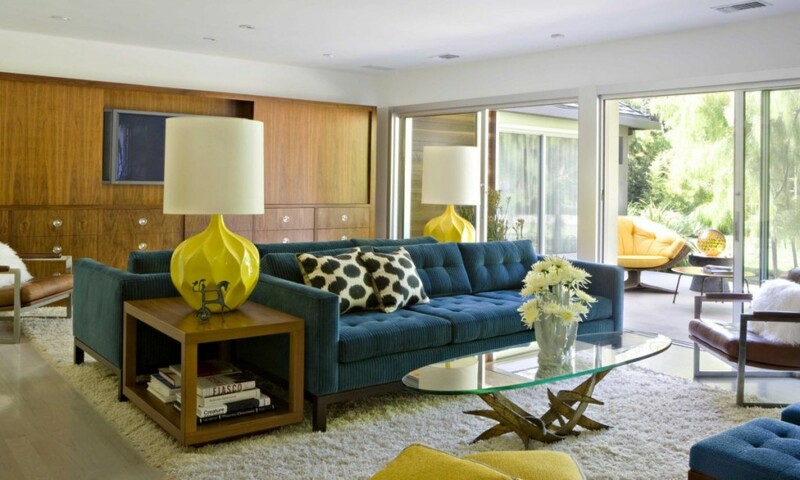 Yellow, on the other hand, is a refreshing colour that provides warmth and is cheerful and optimistic. Both are perfect used as accents as well as colour blocks. In the same way as white, black makes a perfect understated backdrop. Mixing it with small amounts of red creates a warmer hue that is easy to live with. After the recent craze for all shades of grey, there is a new interest in warm, dark browns. Experiment with a palette of chocolate, rust, coffee or bark, and use your favourite to paint an entire room or just one wall. Dark walls create depth and make accents and luxurious materials stand out. ANTONIA AF PETERSENS is a Swedish journalist who grew up in Stockholm and has lived in Barcelona and London. Her book, New Nordic Colour, in which she visits ten Nordic homes to discover emerging styles, was published in November 2017. She contributes to The Times.